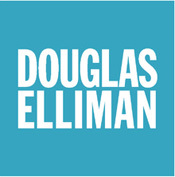 More than 18,000 visitors per day view properties on elliman.com, the most popular home-finding Website in the area. All Robert Paul Realtor listings are posted directly from the company database and show all additional marketing features such as virtual tours, photo galleries, floor plans, maps and Home Show videos. The listings of all participating brokers also can be viewed from the HGAR MLS files, but no virtual tours or floorplans are displayed. Your home will be marketed more effectively with Robert Paul Realtor at elliman.com. Virtual Tours – Visitor-preference tracking shows Virtual Tours of listed homes are consistently the most popular feature on elliman.com. Nine different companies create virtual tours for our listings. Photo Gallery – The detail page of each listing is another popular landing place for our visitors. Photo galleries offer an opportunity to show six additional views of a listed home, a very important marketing feature. Floor Plans – Another feature that captures the attention of an robertpaulrealtor.com visitor is a floor plan of the home. A floor plan by iPlan Home Imaging can entice a prospective buyer to make an appointment, and has proven to be a very effective marketing too. Connect Service Center – A one-stop, free service available on robertpaulrealtor.com for anyone moving to, from or within the Bedford NY area. Clients can easily connect or disconnect utilities, compare utility costs, order newspaper service, digital cable, etc., or send change of address notices. Multi-Language Translation of MLS Inventory – This service caters to the multi-lingual visitor and attracts global attention. All Robert Paul Realtor listings, as well as MLS listings of participation brokers, can be viewed in any of 10 languages. Linked directly to robertpaulsells.com, DE Capita,l a Robert Paul Realtor affiliated company is a great benefit to buyers and sellers. A buyer can be pre-approved for a mortgage in his or her price range, and qualified buyers can be brought to a seller. Also linked directly to robertpaulsells.com, Elliman Insurance, a Robert Paul Realtor affiliated company is another convenience for both buyers and sellers that attracts attention to robertpaulsells.com. Clients can arrange for all their personal insurance needs through this service. Map Muse Each property has a link to a map showcasing the home’s location, as well as nearby schools, shopping centers, places of worship and other homes for sale in the neighborhood. Dedicated Customer Care Center – Through various points on robertpaulsells.com, we drive visitors (and buyers) to your home. Mortgage Calculator – Determine estimated home mortgage payments based on specific criteria. Why was Fed raising rates?